Dubbed the “Grey Ghost” during WWII, the Queen Mary saw more than its fair share of tragedy that has manifested into one of the most documented hauntings of all time. This October, Queen Mary’s Dark Harbor attraction returns for another season of Halloween screams, featuring 2,000 monsters led by the RINGMASTER, six mazes and live entertainment. 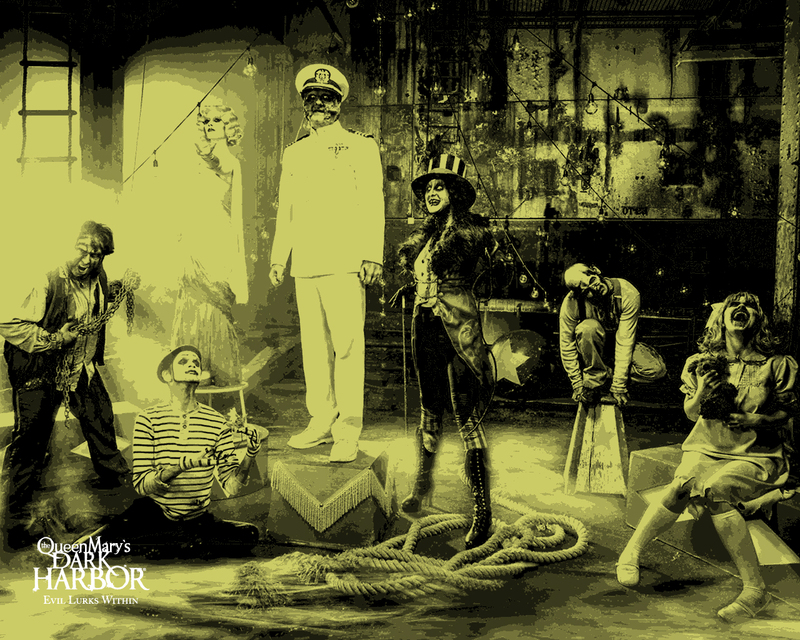 Running select nights October-1st-November 1st, Queen Mary’s Dark Harbor is a one of a kind Halloween attraction that is a must for lovers of haunted attractions and the paranormal. If you want the full experience, be sure to book a room aboard the Queen Mary and just maybe you’ll encounter something that truly goes bump in the night. 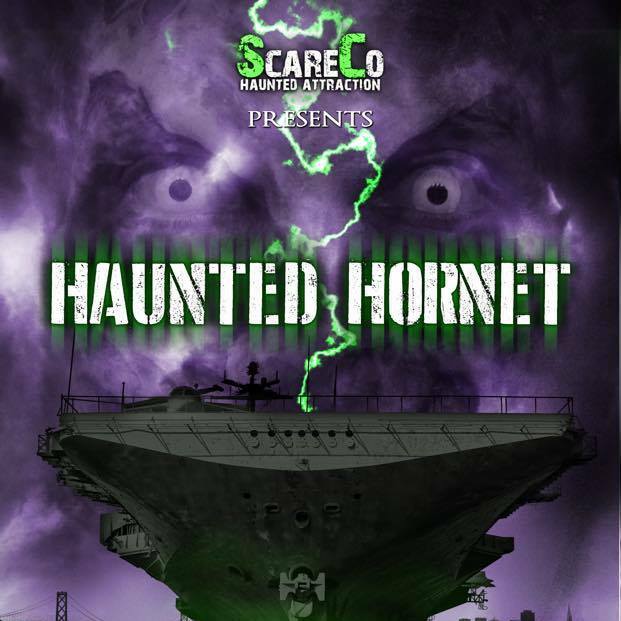 SCARECO HAUNTED ATTRACTION’S HAUNTED HORNET is a new haunted attraction located aboard the USS Hornet. The aircraft carrier was commissioned in 1943 at the peak of World War II and was engaged in some of the most fierce battles in the Pacific. Now docked in Alameda, it seems that the human cost of war has forever attached itself to the ship. Apparitions of the long dead have been seen wandering the halls and unexplained sounds echoes throughout the ship. Undoubtedly, a trip to the USS Hornet has the makings of a truly unnerving experience, but add a haunted attraction and then you’ve got a Halloween event for the ages. Details of the mazes and attractions are still forthcoming, but based on ScareCo’s previous haunted attraction, Platform 13, it promises to deliver jarring scares that will rattle you to the core. The Haunted Hornet runs October 2nd-November 1st on select nights. Are you planning to visit one of these truly haunted “haunted attractions”? Do you dare?